Buying and selling a Western Australian registered vehicle between nomadic backpackers is a snap. 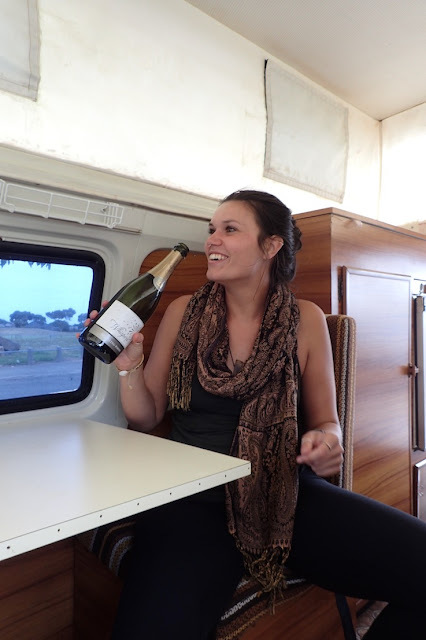 Chandra, happily posing at the wheel of her new-to-her camper van, our now former '82 Toyota Hiace poptop. Melbourne, Australia. “The first person who sees this van will buy it,” predicted Sunny and Kook. We bit. We bought. The van was a great transition vehicle for us. After 4 ½ years, it was hard enough to downsize from a 36 ½ foot boat to a 14 foot van for 6 months. But at least with the van, we had a kitchen, bed, couch, table, tons of storage and could stand up inside, thanks to the pop-top. We wanted to get lost in Australia – figuratively. When we hit the road in we quickly realized to do that we needed 4-wheel drive. Besides, while we don’t mind life in the slow lane, we figured we’ll drive at least 20,000 km on clockwise tour of Australia’s ocean of land . At a normal cruising speed of 80 km (even in 100 kph zones) we weren’t sure we’d have enough time to see what we wanted to see. 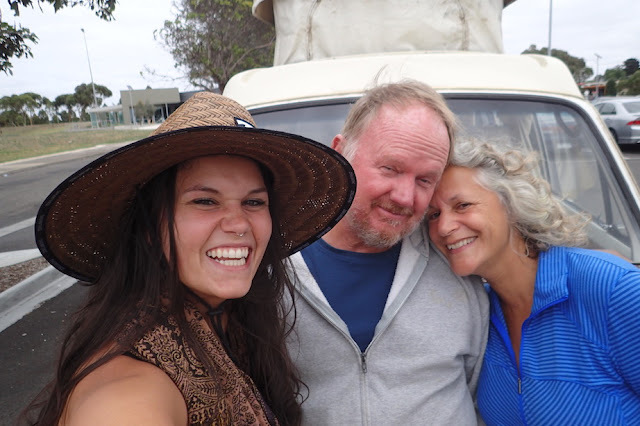 So we decided the time was right to head for Melbourne, the next “Big Smoke” (major metro area) with a sufficiently big enough population to trade in our mini-mobile motor-home aka hippie pop-top camper van for a Land Cruiser. At 10 pm we posted our Gumtree ad. “The first person who sees this van will buy it,” we promised. Pings began almost immediately. By the next day we had 9 folks seriously interested in looking at our van. Chandra taking her first look at what was our van. Wayne gives her the skinny on it. Melbourne, Australia. all our respective adventures in Oz ahead. It was love at first sight. Heck, she even viewed the lack of power steering as a great way to get a workout. Chandra drove a rental van previously in Tasmania, where the roads are far steeper than Australia's mainland. Her rental van was slow, and she was fine with it. Besides, she also didn’t plan to travel as far as we did. The van just had to pass a mechanic’s inspection first, especially since her sister was interested in buying it off Chandra when she was done. 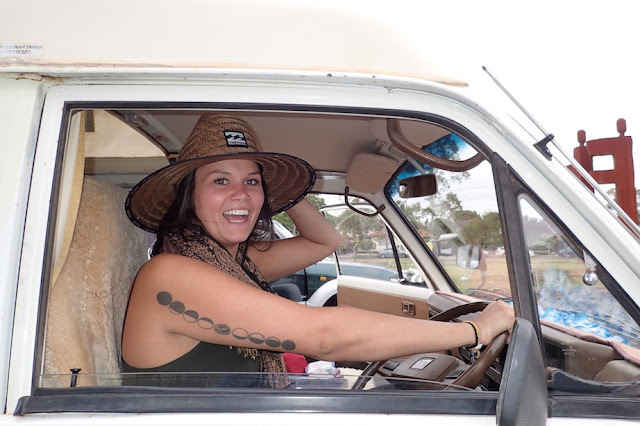 While as a fellow on-resident nomad Chandra could enjoy the ease of Western Australia territory’s vehicle ownership transition, her Victoria-based sister needed the van to pass Victoria territory’s tough “roadworthy” test. Wayne already invested in several mechanical improvements on the van, and it was running better than ever. We promised to absorb the cost of anything within reason discovered in the inspection. There were a few minor items. As promised, we dropped the price from what we paid, $6800 AUD, by $300 AUD, the estimated repair cost. We recommended the Oasis Auto Repair, the shop we used in Bendigo, as that’s where. Chandra was headed anyway. Chandra’s good to go, and so are we. And we made another new friend in the process. Travel well, Chandra! Please keep us posted on your adventures - we trust they will be as awesome as you are! Chandra, Wayne & Dana in front of Chandra's new-to-her van. She's the more photogenic one. This post reflects our time in Melbourne, Victoria, from Feb 21-24, 2017. We’re currently in South Australia, making our way for the Nullabor and Western Australia. At moment we’re camping in Lawrie, at the base of the Southern Flinders Range. Still massively behind on my posts! Up soon: Great Ocean Road, what we’re driving now, and our sweetest Oz campsite to date.